Realize the vision for your business with S-FX Small Business Solutions' dedicated team of full-time professionals. With experience across all avenues of technology, we offer big city expertise with hometown affordability. Organize your thoughts, prioritize your focus, and accentuate your staff's strengths. Building a business requires a strong foundation and can sometimes be overlooked when you're caught up in the enthusiasm! 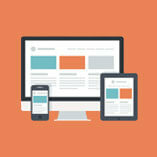 Your web presence is the storefront of your business and sets the first impression for every customer. Skip the cookie-cutter templates and invest in capturing the essence of your business on the web. 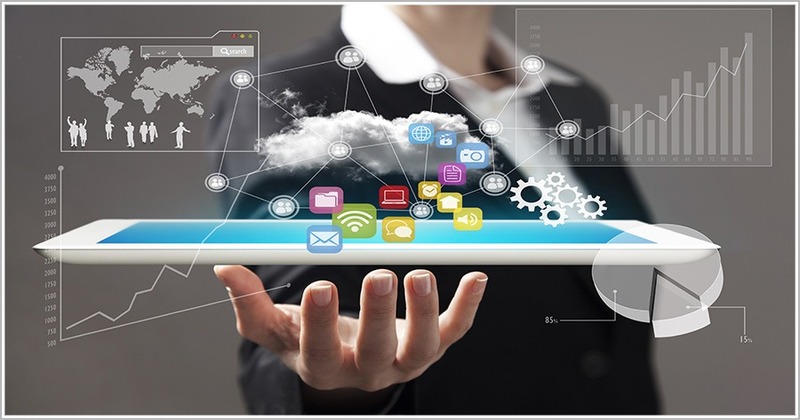 Integrate technology into your every day routine to maximize your effiency, cut costs, and allow you to focus on truly important tasks to grow your business. Establish an identity for your business that echos your voice. With media experience across several industries, we implement low-maintenance marketing plans that put your brand at the forefront. It’s not particularly hard to find a freelance employee with a technology degree. What is hard is finding a team of experienced professionals who not only hold a formal education in Technology, but hold an intangible passion that cannot be quantified. At S-FX Small Business Solutions, we do what we do because we love what we do. It’d be easy for us to mail it in with a larger agency, just collecting a paycheck. But our passion is working with entrepreneurs, small businesses, and non-profits alike to embrace your enthusiasm and steer it down the path of incredible success. S-FX made the site building process very easy and were focused on the information I needed to help my business succeed. Great company!! Very knowledgeable people and efficient. Nothing is to difficult for them. Great customer service and the design work is top notch! We have designed 3 sites with S-FX, all with a different target market and functionality. They are able to accommodate all types of business styles and market places. My experience with Shane is that he works hard for you, is very responsive and professional. I have and will continue to recommend him. Very easy to work with and always attentive. I have used them for several different things in my small business and I couldn't be happier with the results. Highly recommended! S-FX did a great job in the original design and is always quick to add new content when asked. I always get compliments of how easy our site is to navigate and use. Our relationship with the CMT Association extends over the span of a decade. We have been responsible for designing and launching four different iterations of their website, custom developing an association management system (AMS), overseeing numerous API integration with third party solutions, and managing digital membership benefits such as podcasts and webinar recordings. About the Client – The CMT Association is a global credentialing body with nearly 50 years of service to the financial industry. 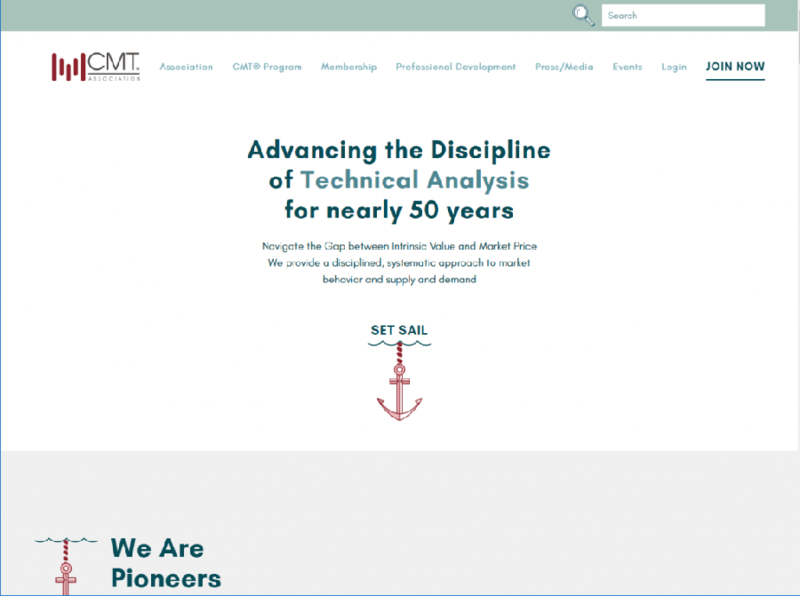 The Chartered Market Technician® (CMT) designation marks the highest education within the discipline and is the preeminent designation for practitioners of technical analysis worldwide. 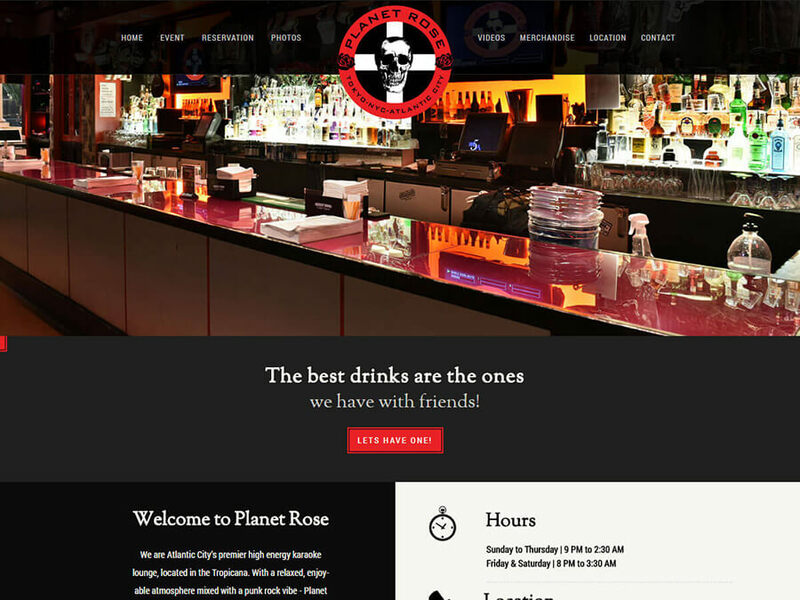 Through several iterations of a redesigned website, Planet Rose in Atlantic City, NJ has frequently helped our team raise the bar in nightlife & entertainment design. Our relationship with Planet Rose extends beyond an impressive web presence, though, as we’ve built a long-term marketing plan that sees their staff produce daily social media content, capitalize on search engine optimization (SEO) trends, and deliver e-marketing campaigns regularly to their customers inboxes. About the Client – Planet Rose is Atlantic City’s only Karaoke Lounge, Hosting Karaoke seven days a week. We offer private VIP rooms and table reservations. Planet Rose also feature special events and themed party throughout the year. Teamed with a group of aspiring entrepreneurs with a plethora of experience in branding and marketing, our relationship with 1981 Brewing Co. has afforded us the opportunity to see the brand build up from inception. With what started as a napkin sketch – literally – our team at S-FX was able to design a custom logo for 1981 Brewing Co. that captured the essence of fine craft beer from the Cayman Islands. 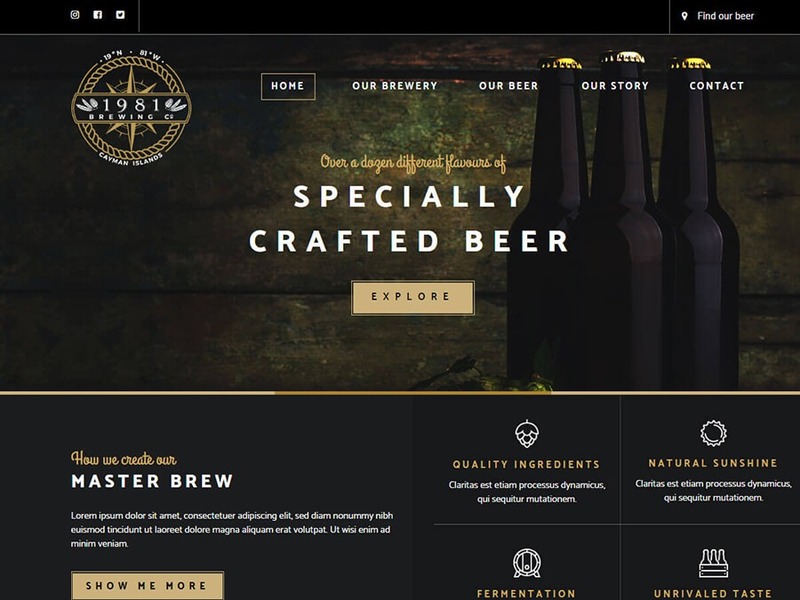 As the brand evolved, we developed a unique and interactive web presence for the soon-to-open brewery. While this project is still in development, we were too excited to not share it. Stay tuned for more, soon! From quite literally its inception, S-FX has had a hand in the development of Sea Level Aquarium. 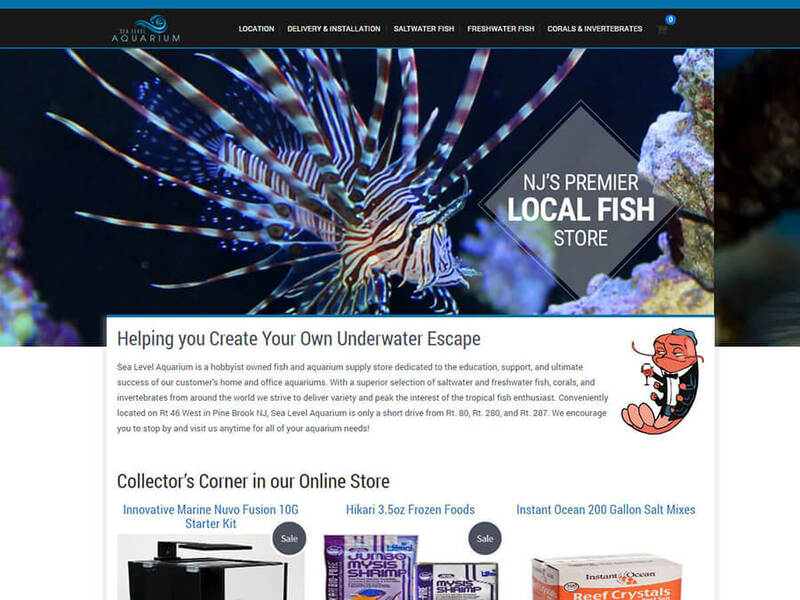 Using our branding experts, we helped the co-owners of this hobbyist fish shop decide on a name, design a logo, and develop an eye-popping website that has served as the awe of the exotic fish industry for half a decade. In addition to branding and design, we worked with Sea Level Aquarium to develop a long-term marketing plan that delivers periodic promotions and updates to their customers via email. We’ve trained the staff on maximizing their exposure using social media marketing and implemented a number of search engine optimization techniques that leverage the 5 star reviews they receive regularly on Google. About the Client – Sea Level Aquarium is a hobbyist owned fish and aquarium supply store dedicated to the education, support, and ultimate success of our customer’s home and office aquariums. With a superior selection of saltwater and freshwater fish, corals, and invertebrates from around the world we strive to deliver variety and peak the interest of the tropical fish enthusiast. Conveniently located on Rt 46 West in Pine Brook NJ, Sea Level Aquarium is only a short drive from Rt. 80, Rt. 280, and Rt. 287. We encourage you to stop by and visit us anytime for all of your aquarium needs! Save Barnegat Bay’s contributions to New Jersey and the ecosystem of the Jersey Shore cannot be applauded enough. It’s with our honor that we’ve been able to work with this non-profit organization for nearly a decade. 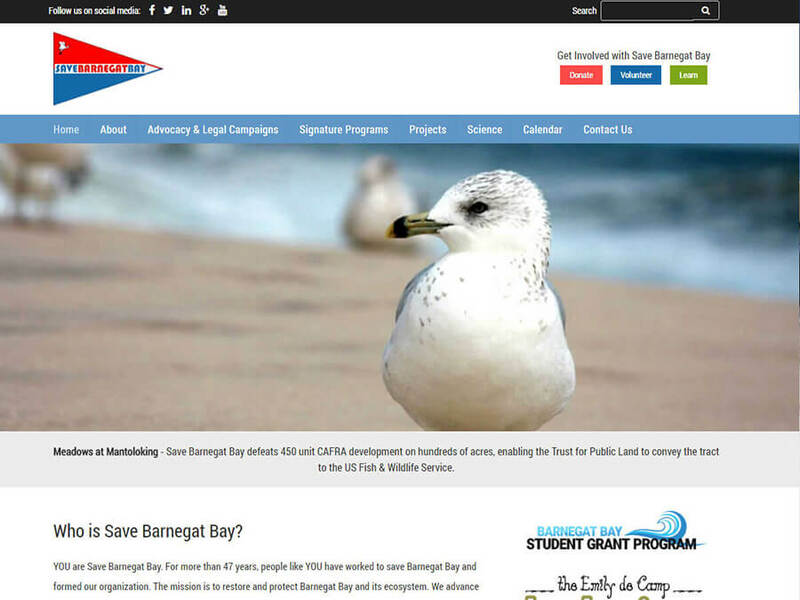 Through the design of several iterations of a website, our team has helped to train the Save Barnegat Bay staff on marketing principals, leveraging social media marketing, and implementing search engine optimization to get their incredible research in front of the eyes of beach-goers around the state. S-FX has also helped set up the network infrastructure for four different office locations for the organization and continues to advise on all aspects of integrating technology regularly. About the Client – Save Barnegat Bay was founded by Charles Hedlund in 1971 as the Ocean County Chapter of the Izaak Walton League of America in response to a proposed development in what are today Traders Cove and F-Cove in Brick Township. In 1985 the organization became reinvigorated, expanded its scope to the whole watershed, and adopted the name Save Barnegat Bay. From the 1980’s until well into the first decade of the twenty-first century, the group’s primary focus was on resisting imprudent development and promoting conservation of open space in its natural state. In recent years, as the watershed has become largely built out, Save Barnegat Bay has been responding to the vast number of factors that threaten the health of Barnegat Bay and its ecosystem. 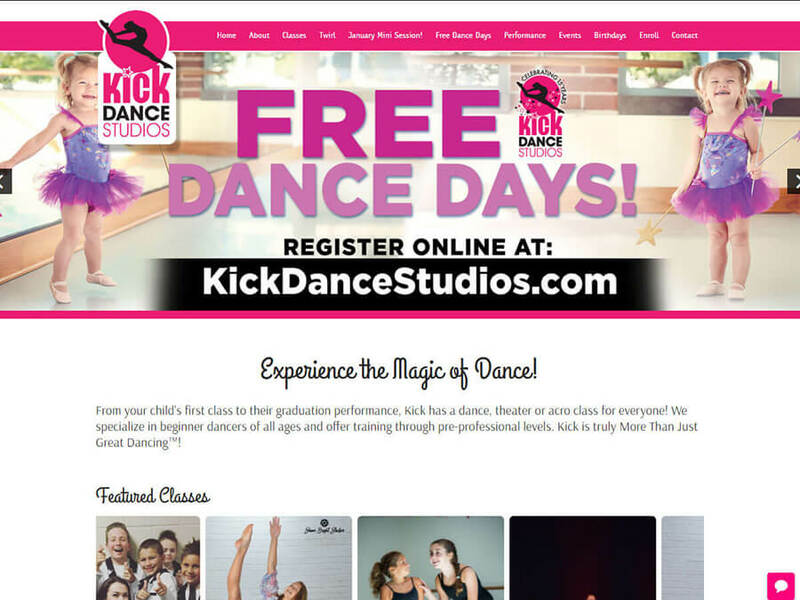 Working with KICK Dance Studios allowed our team to whip up our creative juices to employ a fun & engaging custom web design template that appeals to aspiring dancers across the state of New Jersey. Alongside the KICK team, we’ve implemented proven search engine optimization strategies and designed non-intrusive marketing campaigns that build organic leads for prospective customers. About the Client – From your child’s first class to their graduation performance, Kick has a dance, theater or acro class for everyone! We specialize in beginner dancers of all ages and offer training through pre-professional levels. Kick is truly More Than Just Great Dancing™! With a business relationship spanning across a decade, there’s very little that S-FX has yet to accomplish alongside the knowledgeable family-owned staff at Miniature Folding. We have designed and launched several iterations of new websites, making sure to stay current with web standards. We have coordinated and implemented an Inventory Management Platform that allowed the Miniature Folding staff to keep up-to-the-minute track of all items in their parts inventory through barcode scanners. We developed a custom coded Machine Logistics Program that allows the staff to see, assign, and track jobs to every machine across their entire facility. Most recently, we have developed a custom scripted Human Resources Management Program that allows the Supervisors at Miniature Folding to track their employees, maintain an accurate record of attendance, and complete performance evaluations for each employee (with required digital signatures). 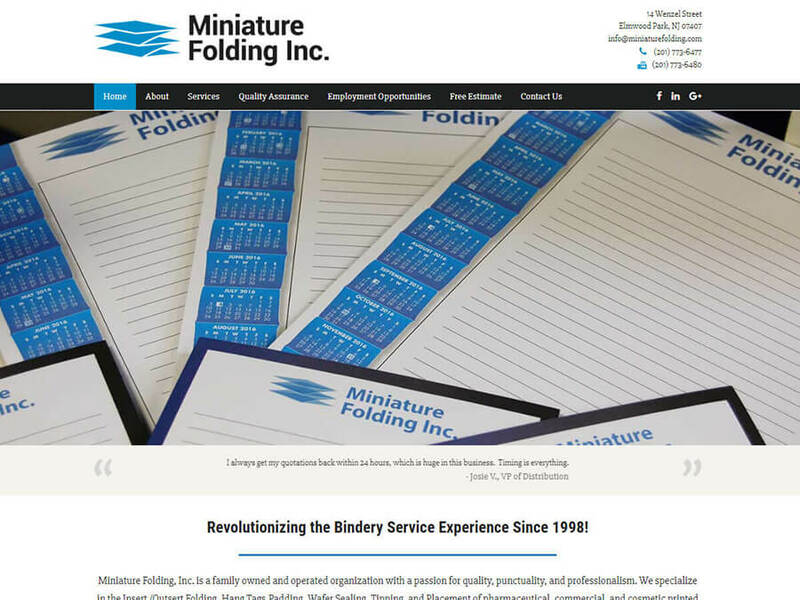 About the Client – Miniature Folding, Inc. is a family owned and operated organization with a passion for quality, punctuality, and professionalism. We specialize in the Insert /Outsert Folding, Hang Tags,Padding, Wafer Sealing, Tipping, and Placement of pharmaceutical, commercial, and cosmetic printed material. Little Duck Day School is the perfect example of a young entrepreneur who worked hard to ultimately achieve her dream — running her own day school! After purchasing the school, owner Amanda Wortmann sat down with S-FX.com Small Business Solutions to try and identify ways that she can re-invent her business, for a new era. Together, we designed a brand new logo and launched a modern, refreshed website that spoke to the parents of her day school students. 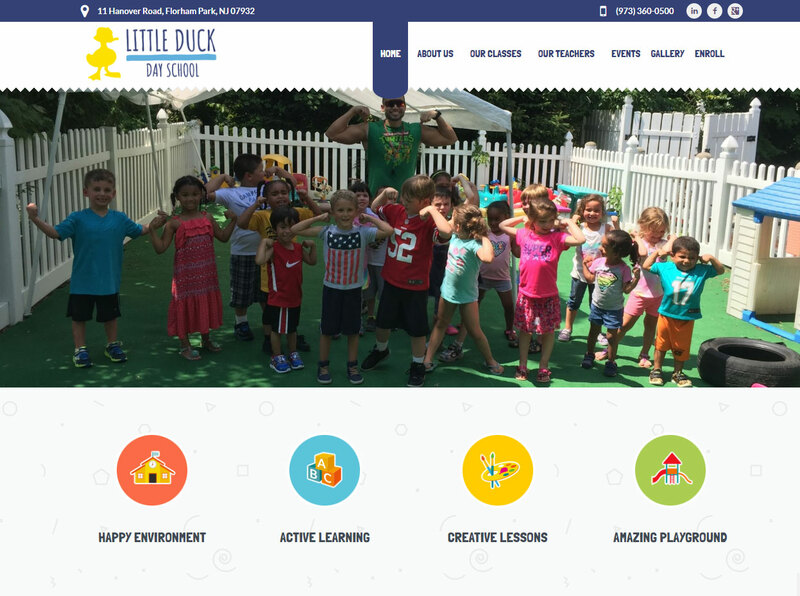 About the Client – Little Duck Day School is a private, NJ licensed childcare center, educational center and premier preschool located in Florham Park, NJ. Established in 2000, we offer full and half day programs for children between the ages of 6 weeks and 5 years old. Abbott’s Wood Enterprises is the ideal local business. It’s a business that’s been in the family for years and continues to be passed down through generations. When daughter Jenny Abbott finally got involved in the business, she decided she wanted to extend her family business’ reach beyond their local community. 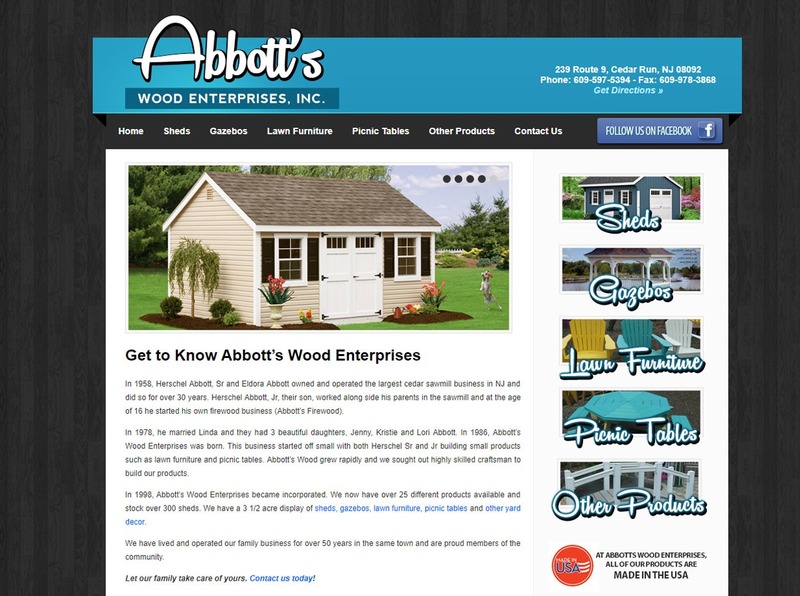 Abbott’s Wood Enterprises sat down with S-FX.com Small Business Solutions to develop a modern new logo and launch their first website. It was only within a month that the Abbott family saw new customers flocking to place orders because of their extended online reach. About the Client – In 1958, Herschel Abbott, Sr and Eldora Abbott owned and operated the largest cedar sawmill business in NJ and did so for over 30 years. Herschel Abbott, Jr, their son, worked along side his parents in the sawmill and at the age of 16 he started his own firewood business (Abbott’s Firewood). In 1986, Abbott’s Wood Enterprises was born. This business started off small with both Herschel Sr and Jr building small products such as lawn furniture and picnic tables. Abbott’s Wood grew rapidly and we sought out highly skilled craftsman to build our products. In 1998, Abbott’s Wood Enterprises became incorporated. Navigating the legal landscape can be tough, but at S-FX.com Small Business Solutions, we helped Adams, Buchan & Palo make that process a little easier. Together, we developed and launched a brand new website back in 2015 and helped index the law firm in Google Search rankings. About the Client – Choosing the right lawyer can have a tremendous impact on the outcome of your legal matter. 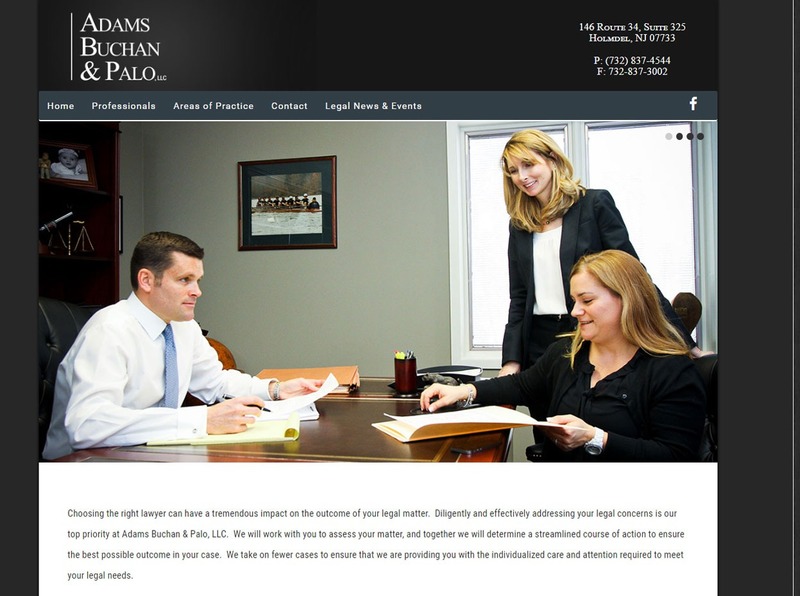 Diligently and effectively addressing your legal concerns is our top priority at Adams Buchan & Palo, LLC. We will work with you to assess your matter, and together we will determine a streamlined course of action to ensure the best possible outcome in your case. We take on fewer cases to ensure that we are providing you with the individualized care and attention required to meet your legal needs. A proper website is often overlooked in many school districts, leaving parents scratched their heads – but not at Bay Head Elementary School! Bay Head’s forward-thinking school board continuously invests time and expertise into maintaining a professional website with clear information. Working with S-FX.com Small Business Solutions, Bay Head Elementary School was able to modernize their logo and launch a brand new website, that gave 24/7 access to their parents and their employees alike. About the Client – The Bay Head School has been serving the academic needs of its students since the early 1900’s. From the original one room wooden schoolhouse to the brick building of today, the same high quality of education has been provided through the years. When comparing Bay Head’s standardized test scores such as the NJASK and PARCC, it is readily apparent that we continue to maintain high academic standards. In both 2013 and 2014, Bay Head School was named a Reward School for superior academic excellence by the New Jersey Department of Education. 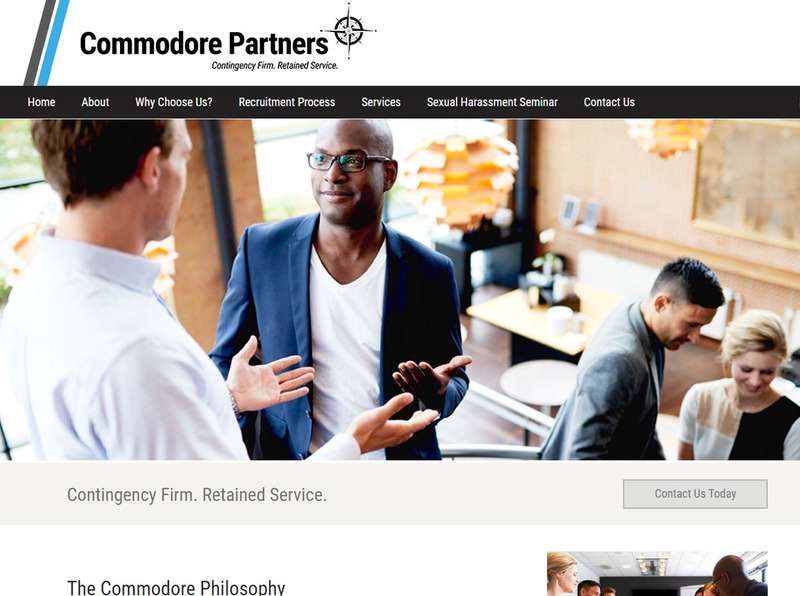 Commodore Partners, LLC. is a business that S-FX.com Small Business Solutions has had the opportunity to work with since its inception. Leveraging his decade of experience, talented specialty recruiter John Vogel launched Commodore Partners and worked with our team to develop a brand identity, launch a new website, and implement a ground-up marketing strategy. They continue to innovate today. About the Client – Commodore Partners, LLC. is a contingency recruiting firm with the approach of a retained search firm. We build true partnerships with our clients to bring them the best talent to fit their individual needs. We pride ourselves on our commitment and responsiveness to meet our clients’ needs in a timely manner. Web design isn’t always about business – sometimes it can be a little fun, too! 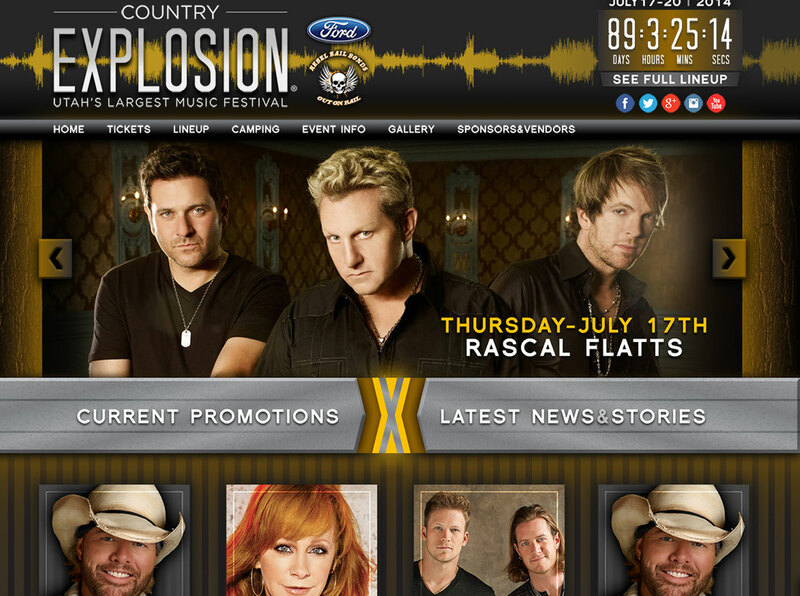 With Utah’s Country Explosion Music Festival, the team at S-FX.com Small Business Solutions had the opportunity to work with the country music festival coordinators to develop their festival logo, launch a new festival website, and embark on a massive digital marketing and social media marketing campaign. The Technical Analysis Educational Foundation (TAEF) has had a working relationship with S-FX.com Small Business Solutions for nearly a decade. Our team has helped the TAEF design three separate site re-launches as well as develop a custom auction system built on top of the WordPress platform. 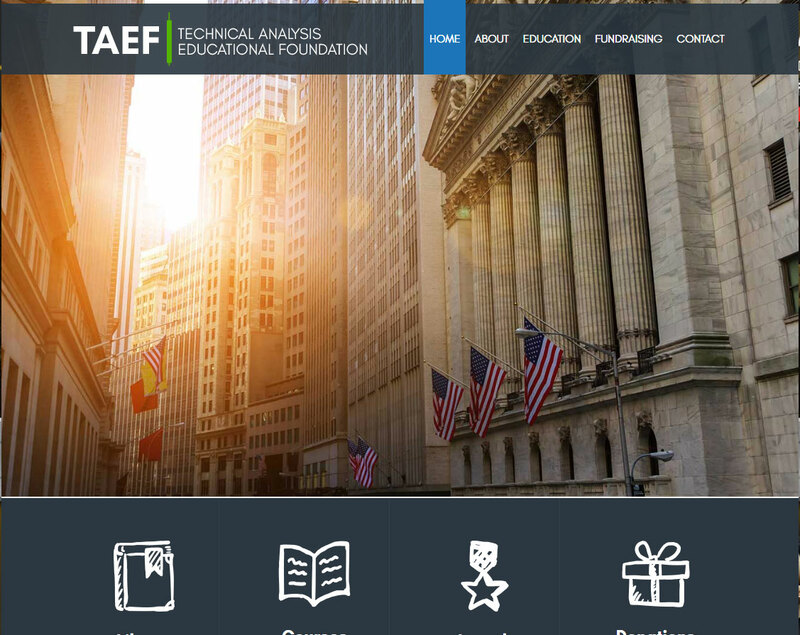 About the Client – The Technical Analysis Educational Foundation (TAEF) was established in 1993 as a non-profit organization known as the Market Technicians Association Educational Foundation, renamed in 2018. The original mission of the then-MTAEF was to create and fund educational programs in the field of Technical Analysis. Throughout the years, this mission has expanded to include the creation and support of a complete Technical Analysis curriculum that is now being taught in colleges and universities for college credit. 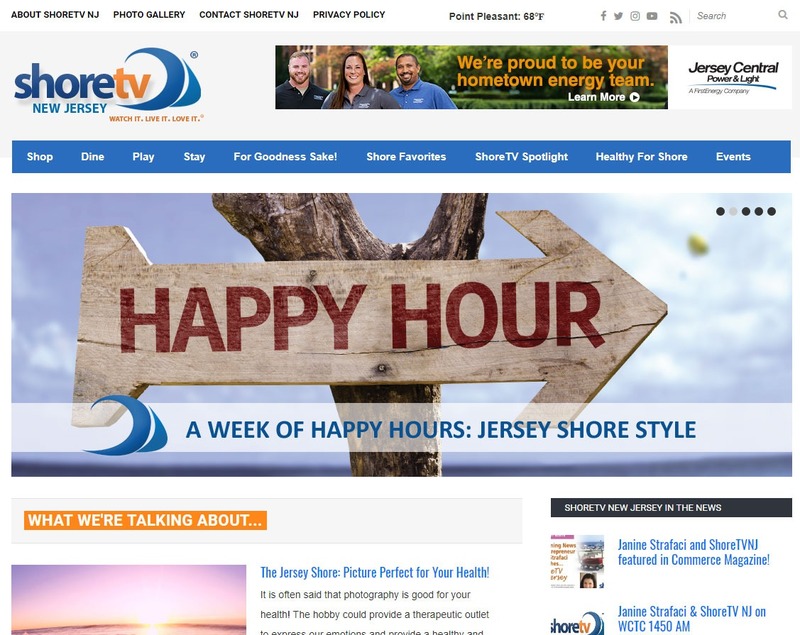 For almost half a decade, S-FX.com Small Business Solutions has worked with ShoreTV NJ to bring local, uplifting video news stories to the New Jersey Shore through a custom coded website and social integration. About the Client -Janine Strafaci is a two-time Emmy Award winning news anchor. For nearly 17 years, Janine served as one of the main news anchors for News 12 New Jersey. She is a Jersey Girl who has covered most of the major news events that have hit the Garden State. Janine is a recognized and welcomed face as she has worked tirelessly over her news career to help better the lives of the people of New Jersey by helping them tell their important stories. Southern End Landscaping came to S-FX.com Small Business Solutions having never had a presence on the web. Together, we worked to tweak the company logo for a more modern look and developed a WordPress-based responsive design web template. 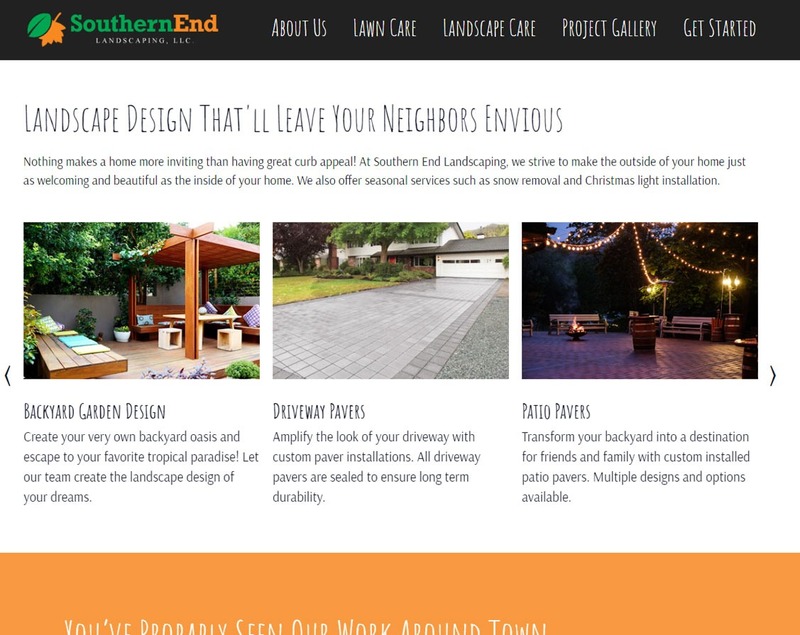 After launching the website, we established a marketing plan for Southern End Landscaping design to help leverage their new online identity! About the Client – Southern End Landscaping is a family-owned Jersey Shore landscaping company founded in 2007 by Max Van Ness. After working in the landscaping industry for several years, Max saw a disconnect between landscapers and their customers. Motivated to bridge that gap and make customer service as integral a part of landscaping as a set of hedge clippers, Max launched Southern End Landscaping. After over a decade of serving customers in Tuckerton, West Creek, Manahawkin, Barnegat, and everywhere in between – Southern End Landscaping continues to pride itself on high quality workmanship and sustaining an incredible bond with each of its customers. It's the end of days, if you ask some. Net neutrality is officially dead, as Donald Trump-appointed FCC chairman Ajit Pai fulfilled his promise of putting an end to the controversial Obama-era regulation that decreed all internet traffic should be treated equally. And while your social media news feeds have been inundated with memes giving extreme examples of how a lack of net neutrality can take down the internet, you've still struggled to understand just exactly what the heck it is! What was the point of Net Neutrality in the first place? Net neutrality regulations were adopted by the Obama administration in 2015 to prevent Internet Service Providers (ISPs) such as Verizon or Comcast from throttling access to specific websites or services. At one point, AT&T was caught limiting users' access to FaceTime if they did not purchase an upgraded data plan. Similarly, earlier this year, Verizon was accused for throttling the speeds of NetFlix and YouTube streams for users - which they dismissed as "network testing." With ISPs being held to net neutrality regulations, these types of actions would be strictly prohibited and enforceable by law. So shouldn't I be mortified that Net Neutrality was dumped? How many high speed internet options does your town have? Has that changed much in the last decade? Most people only have a one, maybe two, options at best for high speed internet access - a far cry from the dozens that once existed during the days of dial-up. And when these high speed systems were installed, they were more than sufficient for the amount of data we consumed each month. But today, the average household consumes up to 190 GB of data per month, 95% of which is video. With the impending explosion of 4K video on the horizon, that number is only set to jump to up to 500 GB/month! In the days of AOL, you'd barely see 10 GB of data for a whole neighborhood! The fact is, our current infrastructure for high speed internet access is not sufficient enough to handle this amount of bandwidth. You've probably noticed it yourself, when you're surfing the internet and everything seems to slow down between 5 - 8 PM, after everyone is home from work/school. As the usage in your neighborhood climbs, your internet's performance deteriorates. That is, of course, unless the ISP can upgrade their infrastructure. * This is a purely hypothetical example with literally no substance of truth. A la carte internet could come, but it already exists! Look no further than your cell phone bill. You can purchase packages that have limited texts, limited minutes, or limited data - or you can spend a few extra bucks and get unlimited everything. Look at your streaming services, for that matter - Sling TV, YouTube Live, DirecTV Now, HBO Go, Netflix, Hulu - they are all offering a la carte services with tiered pricing that allows you to consume data however you prefer. The same could come for your internet. And that doesn't mean it's a bad thing. While you may be an internet hog, that doesn't mean you 65 year old neighbor is, too. And by offering varied packages, ISPs can potential sway more business from the very folks who don't need 200/200 internet to crush their opponents in the latest Call of Duty. The bottom line is ... your internet isn't going anywhere. You aren't going to wake up tomorrow and see access to your favorite website disappear. You aren't going to be watching YouTube and see a video slow down dramatically, prompting you to ask for more money. Your internet will continue to operate the same as it has for the last two years and the same as it did two years ago, before Net Neutrality was even "a thing". In the future, you may just start to see new package deals pop up to make your access more affordable, new ISPs installing infrastructure to give you more access options, or new ways to access the internet altogether. Regulation stifles innovation. Deregulation inspires competition. And as lovers of technology, innovation and competition are exactly what we want. Computer security is a major issue facing the technological world today. When all of our data and personal information is now so centrally located and accessible to us on near any device we would like to use, an issue arises in where we have to know we are keeping that data protected. These days, that isn't incredibly hard anymore with the vast repertoire of cyber security and virus defense suites available online both for cost and for free. In a world of security, the more you can install, the better, right? Not quite. Welcome back to #TechTuesday, where we're going to explain what happens when you use too many firewalls. In many applications of security in our wall, whether it is home defense, personal defense, or even just recreational activity, we often attribute safety to increased levels of protection. When you ride a motorcycle, a helmet is the minimum amount of safety you can have to protect you. There are holes in that, sure, but it is safer! But then, we can add gloves, an armored jacket, and reinforced jeans. Now with all these additional features, we are clearly substantially more protected than we would be, right? Right. While the protection is not infallible, it is still an advanced amount. If you are a soldier in the field, a suit of body armor is going to dramatically increase your protection. But putting on additional suits of body armor might not be practical, and will serve to slow you down, and make you cumbersome or inoperable. 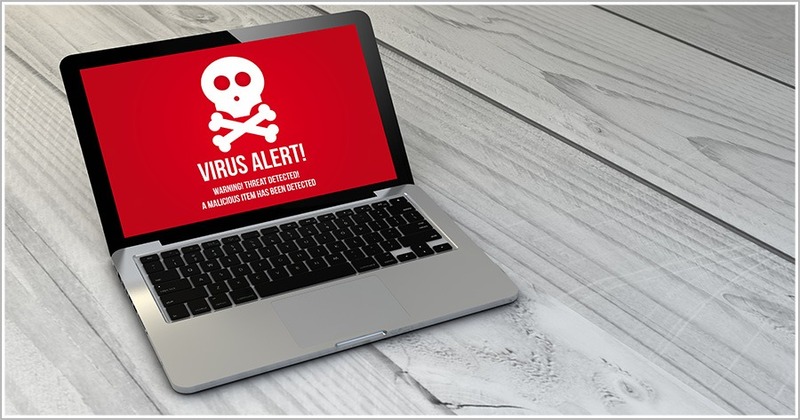 In the world of Virus Protection, we can draw a very strong parallel toward both of these situations. For example, the soldier scenario here can draw a parallel with installing multiple security suites for the purpose of protecting your computer. Sure, not every suite will catch every virus right away, so installing multiple seems logical, right? A safety net for the other one, in case they do not catch something? Well, not really, no. You see, these suites are all designed to fulfill multiple roles, which can include Real Time Scanning, Virus Protection, Firewalls, Mail Scanning, Spam Filtering, etc. With multiple suites running at once, it is like wearing additional layers of body armor. You might seem more protected at the face, but in reality you are slowing yourself down and making yourself more vulnerable. The same will apply to your computer, where the suites will battle for system resources, and cause the machine to behave erratically. 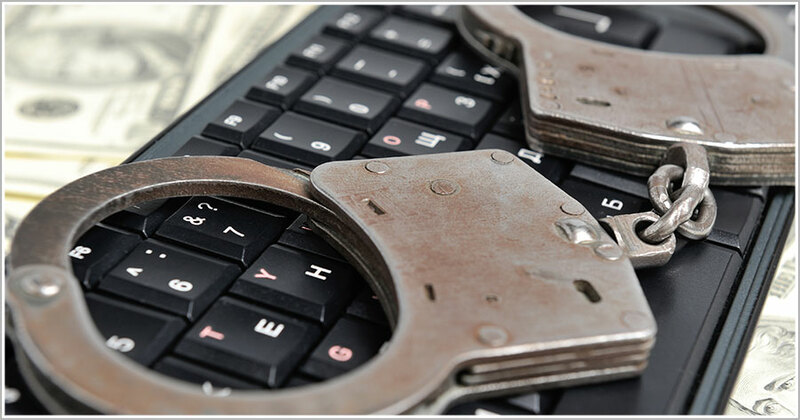 Due to conflict in the purpose of the programs, they may do more harm than good, removing files that are falsely identified, or causing the other system to disable certain core functions by force. Typically, you would want a solution that is more akin to our motorcycle situation. Virus protection is a cumulative situation. Many pieces fit together like building blocks, creating a strong blanket of security as a whole. A firewall, a virus scanner, a mail scanner, a spam filter, a phishing filter, and many other pieces all integrate together to create a complete package of security, which is then constantly updated and cataloging new threats to the environment. Rather than adding additional suites, you can add programs with a singular purpose that is not already fulfilled by your current tool. These tools will then work together cumulatively to protect you, rather than to conflict. Remember, it is better to be nimble with a bigger stick, than sluggish and overprotected. The latter will ultimately leave you far more vulnerable. Microsoft, Google, PayPal, Social media, Silicon Valley, any number of buzzwords make an impact on our daily lives as a small business startup. Especially when you dig your nails into the technology market, and even for those of us whom do not, there is a lot of advancement to take into consideration. This week on our #TechTuesday, we have picked a few of these major advancements to bring to attention and explain how they matter to you. In a world of constant technological advancement, it's hard to pin down what new technologies and features are worth investigating. Thankfully, with the power of the internet, we can help you narrow that down! Some of the things on our list this week might seem like small features, but they can have a big impact on your workflow in different ways. 1. PayPal is bringing its payment options to iOS devices. To some, this may not be that exciting of an advancement, and admittedly it is a pretty small feature. The reality though is that it has a pretty big impact, as a large percent of the current mobile market operates on iOS devices. PayPal has announced that all apple products will now have their service as an option for payments on services like their App Store, iTunes, and more. Why is this important? Well, previously your customers may have only had the ability to add PayPal as their payment option on desktops with Mac and Windows when configuring their Apple accounts, and only for iTunes. Now, they will be able to fund your business from any device that their Apple account is connected to, which opens you to a wider consumer base for those whom did not feel comfortable entering their credit information in places where they did not feel safe. In addition to this update, the PayPal option will be available in 11 new countries outside of teh US, including Canada, Mexico, France, Australia, and Germany. 2. You can now add Real-Time captions to your PowerPoint presentations. Dubbed "Presentation Translator", the tool added to the popular presentation software by Microsoft allows you to include real-time captions to a live presentation in a wide variety of languages, using the power of "machine learning". After downloading the add-in to PowerPoint for the 2013 or 2016 versions, users can speak in Arabic, Mandarin, English, French, Italian, Portuguese, German, English, Japanese, Russian, and Spanish, and any listeners can see content translated into one of more than 60 different languages. To some, this might not be that big of a deal, but to those of our entrepreneurs that present themselves to an international crowd, or any multilingual crowds, this is a groundbreaking feature to allow a clearer form of communication in your presentations! 3. A watch strap is making drone control that much easier. Rounding out our list with a small but neat innovation, a research center in Switzerland by the name of Empa has developed new technology for drone flight integrated into an inconspicuous, normal looking watch strap. Sounding more like a hobbyist innovation, the implications of this new advancement is subtle but powerful. This strap allows the user to convert their hand movements into commands for the drone that correspond with their device's flight patterns. For example, waving their hand left or right causes the aircraft to turn accordingly, and making a fist may cause them to land. This innovation will open up drone flight to a lot of new customers, making the ability to fly extremely more easy and accessible. It will also allow drone use to see a rise in many fields, especially for commercial photography where aerial and distanced photos can be more easily, and affordably, acquired. 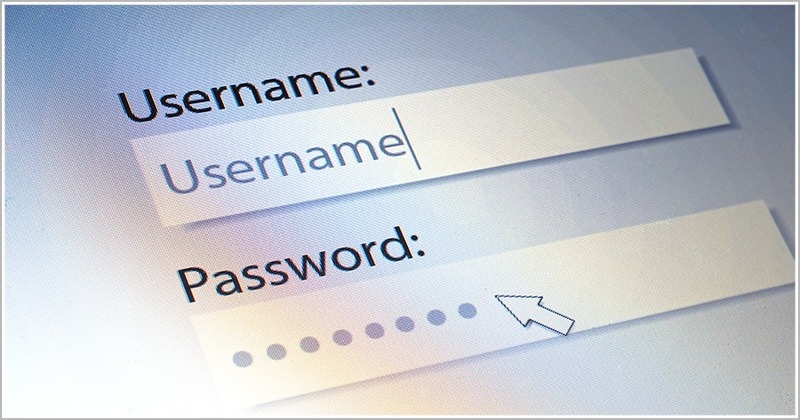 Every year, a provider of password management products called SplashData releases the 25 top most used passwords that appear on lists of stolen passwords released on the internet throughout the year. Some such as 123456. qwerty, baseball, letmein, access, trustno1, batman, dragon, or 696969 appear pretty prominently. Now, we hope reading that hasn't gotten you a bit shaken because I just guessed yours. Welcome back to #TechTuesday! This week we're going to talk about something basic and useful; how to improve your password security. Creating a password has a few easy rules to remember when working on the design. It should be simple and easy enough for you to remember, but complex and impossible enough that it will not simply be guessed. Let's start with a few do's and dont's of password design. DO use mixed characters (letters, numbers, symbols, and capital letters) in your password. DO change your password frequently. Some security experts recommend changing as often as once a month for accounts that control money. DO use a password that will be memorable to you. DON'T use your birthday or birth year. DON'T use your children's names as a password. DON'T use swear words, hobbies, famous athletes, car brands, or movie names. DON'T use simple patterns (qwertyu, 1qaz2wsx, etc.) that are easily recognized on keyboards. Now, some of these little rules seem pretty simple, but they are often the source of the most security breaches for many accounts. We get it, remembering a complex password can be difficult, and typing it in can be tedious and wasteful of time. But account security is important, and gets even more so when you consider what that account may have access to. In addition to those rules, we also recommend never using the same password for all accounts. If for any reason that account is breached, you might have just opened yourself to all kinds of theft across many accounts now. Now, here at S-FX we take our account security very seriously. While passwords can get tedious to remember the exact variation of every one for every account, we like to try to keep things visible and still hard to decode. So for example, a good password you might work on could look something like this: T3ch2esd@y. It keeps it as a phrase you are familiar with, while still having a proper layer of security. If you are having trouble with that, however, we do have another suggestion provided by Norton, the internet security company! They suggest you create a password phrase. Something like "I Love To Read Tech Tuesday Articles". Next, you convert that phrase to an abbreviation by using the first letters of each word and changing the word "to" to the number "2" instead. Using our example, this would become "il2rtt". Finally, put the first and last letter of the website you are using as the first and last letters of your password phrase, and capitalize the last letter. So for example, we will use our own website "S-FX" with our phrase: "sil2rttX". 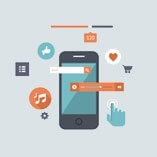 This strategy creates a strong advantage of being a phrase easy to remember for you, while making it unique to each website. You can also enhance it with other symbols or substitutions on characters to really strengthen your security. Be safe out there! Your smartphone, your laptop, your computer, your tablet, even your smart watch all carry a unique identity, and we are not just talking about their looks. Every device has a string of characters unique to them that helps identify them, used to identify them in a network environment. While this is awesome to know for knowing what devices are on your network or are malfunctioning, it also could be used more nefariously. Welcome back to #TechTuesday, where we are going to explain MAC Addresses, and how they are used for tracking. Every physical networked device, whether wired or wireless, is given to the consumer with a unique MAC address. Designed to be unique to that device, this identity allows networks to identify the device when it connects. This identity is actually very useful in home networking, allowing you to easily assign a static IP address based on the MAC of the device you would like to receive that identity. The network will be able to decide if you have connected previously, and recall settings specific to that device. Of course, you can change the MAC of a device in the software of it, but seldom is this technique used. This seems like no major issue, right? Identifying yourself on a network is a courtesy, plus it only does so on networks you're connected to. Well, not quite. The concern arises with the mobile devices we use, such as our smartphones, tablets, and laptops because of how Wi-Fi works. When you leave your home, do you turn off your Wi-Fi chip on your smartphone? Do you entirely turn off your laptop or tablet to save battery? If not, chances are these devices are automatically scanning for available Wi-Fi networks as you move around. These devices, while enabled, use a passive discovery system that listens for Wi-Fi access points nearby that are broadcasting connections, and an active discovery that will broadcast requests for an access point. While doing this, because of how this system is designed, your device will broadcast its MAC address as a part of the discovery request. So as you're wandering around with that Wi-Fi chip enabled on your smartphone, it is broadcasting your presence to any network that will listen. So you might wonder how this is used to track you? Well, I will take London for an example. Recently, they have Wi-Fi enabled garbage cans all across the city, set up by advertisers, that offer free connections. These cans have Wi-Fi monitoring hardware in them, and are all networked together for consistency. If you happen to pass one of these cans with your Wi-Fi enabled, your phone will ping the can with its MAC address, and the can would make note of the address and the location. As you move through the city, this process would repeat, giving a general idea of where you have been moving. This same thing can be done in stores, giving an idea where in a store you might have wandered based on the sniffers logging your mac address and current relative location. This information could be used to track you down based on a wide area, or sold to advertisers to advertise directly based on your habits and frequent visits of a location. So how do you get around this all, though? Well, there's not a solid solution right now just yet. At least, not on all devices. Apple did fix this with their newest iOS 8, which will randomize your device's MAC address each time it scans for nearby networks, making the address worthless for tracking. While this is a solid step in the right direction, we have yet to see other developers pick this habit up just yet, but only because it was not much of a known issue until it became so. Of course, if someone really wanted to track you, there are a variety of ways such as cell signal and GPS location. But every step we can take to protect ourselves and our privacy is a step in the right direction. When you browse the web, everybody has a name for themselves. Whether it is their username for a website, their actual name for a facebook account, or the web address for a website, everybody has an identity unique to them. In the case of a website address, this is known as a Domain Name. Welcome back to another #TechTuesday, where we are going to explain the process of getting your small business set up with your first domain name. To put it simply the Domain Name is just the web address for your company or group's website. A great example is our own, www.S-FX.com, which will redirect you to our lovely home page here. It was registered years ago by the founder, Shane Skwarek, as a unique identifier that correlates with our company. 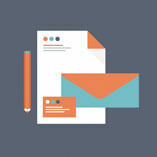 Now, while our address is relatively unique to the company, it does not necessarily mean that it will be the same for everybody based on your name. A domain can be very similar to another based on a few factors, as there are really very few limitations on the naming conventions used. In fact, some of them can be entirely the same except for the suffix at the end, the .org, .com, .net, etc. In the past, this was less of an issue as the Internet of Things was an entirely new concept. But now with the ease of access to the web, everybody is registering their names for anything they can. Because of this, choosing a generic address isn't so easy, nor should you do so! When choosing a domain for your company, you want to make it memorable. it should be unique and representative of your brand. Choosing the extension, the .com/net/biz/anything also is representative, as it both effects the cost, and the professional appearance of your image. We do recommend sticking with some of the typical extensions though, as you don't want a customer to direct to the wrong website! Now, before registering your name, you have to see if it is available of course. To do this, you want to use one of the many "WhoIs" services available online. A quick google search will produce an abundance of these services, but we recommend the one hosted by GoDaddy. Once you've identified the availability of your address, and assuming it was free for you, you'll need to pick a registrar. 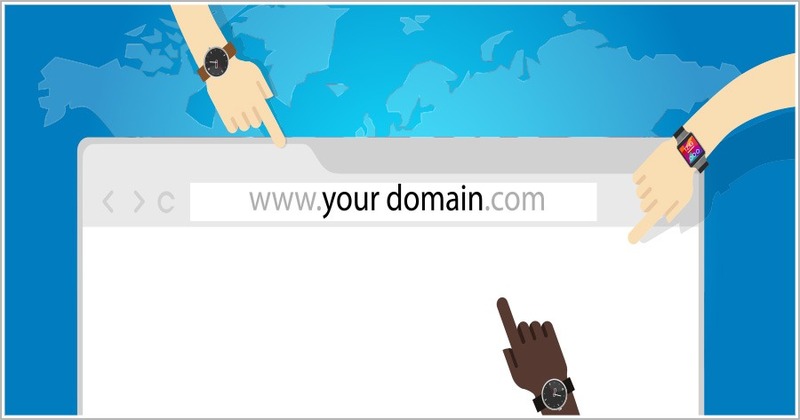 At S-FX.com, we register all of our domains with GoDaddy.com, however there is a large variety of registrars to pick from all across the world. The registrar is the actual company allows you to purchase the domain name for use. Some of the basic extensions run cheap at a few dollars per year, while others may front you as a hundred or more every year. Keep this in mind when picking your extension. Once you have those details sorted out, you proceed to the process of registration and payment. When registering, many of the registrars will often times offer you a slew of services and other offers beyond just the domain name, ranging from hosting email to keeping secret the registration. Keep in mind, you do -not- need to purchase anything else aside from the registration of the domain name. These offers are often times just extra costs tacked on at the end. Once you have gotten past this, you simply need to choose the length of time you're registering your domain for. This is of course renewed, but its good to pay for a length of time in advance if you anticipate maintaining this identity for a long time! It is as simple as that! Now of course, if you don't feel comfortable registering the domain on your own, we do help you through this process when working with your project, so do not be afraid to ask! Review sites and social media have been reshaping the world of small businesses for years now, bit by bit becoming the new faces of our work. They are the one stop platform for customers to find businesses, and to critique their performance based on their experience with us. Welcome back to #TechTuesday where we are going to teach you about managing your online reputation! Managing your reputation online can be a terrifying task to some. The idea that negative reviews can be a black cloud over your business if they show up often seems like a scary prospect for those looking to keep their business afloat. The time and skillsets needed to manage your presence are a whole new category of work for you to learn. The neutrality and civility needed to communicate with a community can be tiring for many. But the flip of that coin also holds benefits too. Good reviews are often the major source for new business, for example. Think about how often you try to find a provider and just scroll through those good reviews to make your choices! To add, with a bit of practice that skillset can be mastered and used to generate far more leads than before. Reputation is everything when you are working against the corporate giants. Establishing yourself and maintaining a relationship is half the battle of keeping your business booming. Utilizing tools such as the availability popularly of social media and company listings takes you a step further. But how do we keep your reputation clean? The first step toward establishing your identity and reputation online is through the feedback provided by your customers. Their reviews are often littered with suggestions and opinions, all awaiting to be heard. The question is more if you are hearing them yourself. If you did a search of your business right now through the eyes of a customer, would you know where to begin looking? What kind of image do you present to them via the current status of your webpage, and any reviews left for you? Do you have feedback strictly from a single source, or is it coming from websites such as Yelp, CitySearch, etc? Knowing your influence and where it extends from and to will help you take your next steps into conquering your reputation. That step is the management of your presence. Start by establishing systems that help you stay on top of the buzz surrounding your business. Setting up a google alert can automatically inform you whenever your business is mentioned somewhere on the web, for example. 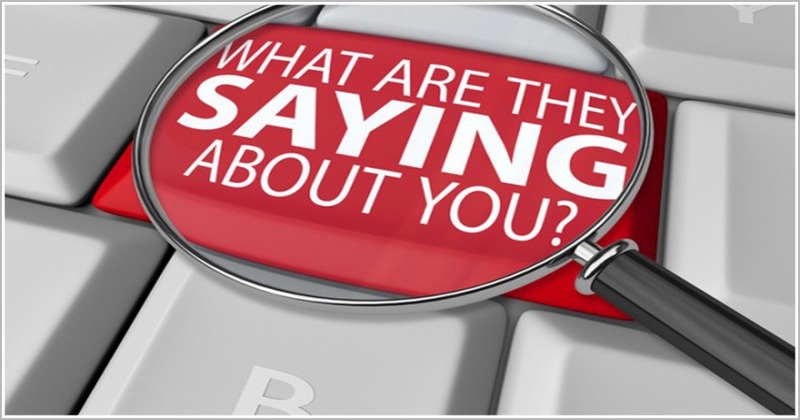 This allows you to more easily see what people are saying about you, allowing you to take that into account. 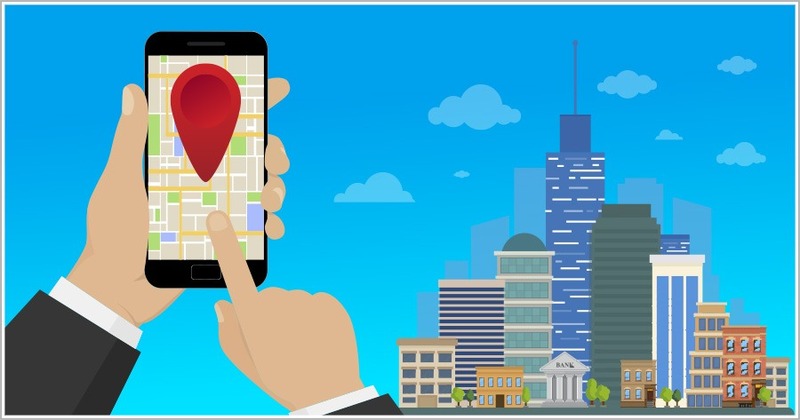 Claiming the local listing of your business on many local search sites can also be a drastic gamechanger that is often overlooked. The more detailed you make your profile, the more your business will appear in search results. Responding to reviews establishes personality, though can be a dangerous undertaking for those with a short temper. While some can get your blood boiling, its always good to remember that civility and constructive feedback are far more valuable than a snarky response. Remember that it is better to say nothing at all than to respond in a rude or insulting way to your customers. In fact, you do not even need to respond to -every- review either! Generally you can target solely the negative ones simply to combat their negative experiences with personal touches, or you can touch upon many of the positive experiences to bolster your community presence. Taking the feedback of your customers also makes them feel valued and more likely to spread the information of your business to others, and help you see positive reviews. Take that advice they give you, and look for patterns in what they are saying. If there is a special trait about your service that you can emphasize, don't be afraid to bring it to the forefront and emphasize it. If there is something that is repeatedly complained about, then perhaps look into resolving that complaint and inviting customers back for a new experience. Finally, the most important part of creating an online reputation is to put it to work. Face it, we don't create these personas for fun and games, we create them to draw people in to see what our company is about. These platforms do more than just protect your name, they serve as fantastic tools for targeted marketing and analytics. Promote yourself, and utilize the advertising tools that many of the sites such as Yelp offer, which may allow you to feature reviews on your page, or to mine information from your customers to advertise to them directly based on their browsing habits. Knowing the availability of services on the websites you maintain your online identity through, be it Yelp, Facebook, CitySearch, or whatever you might choose to utilize, is critical to seeing the full potential of what that online reputation may do for you. Google is an absolute technology giant these days, having vastly expanded from just a search engine to instead cover almost every facet of technology and industry that we use today. It is seldom that you can suggest something that Google has not already put their hands into. For the longest time, job boards were free from this treatment, but that is going to be changing soon. Welcome back to #TechTuesday, where we want to educate you on everything we know about Google Hire. Really, it stands as no surprise that the tech giant is finally dipping its hands into the job board avenues. As a major proprietor of seeing ideas flourish, and seeing people succeed, Google has long established roots into the market without making an actual foray into it beyond their attempts with Google Plus. But now that is going to change. Google Hire is setup to be a powerful, minimalistic platform to be used not just by professionals looking to hire new minds, but also for those professionals that are hunting work themselves. 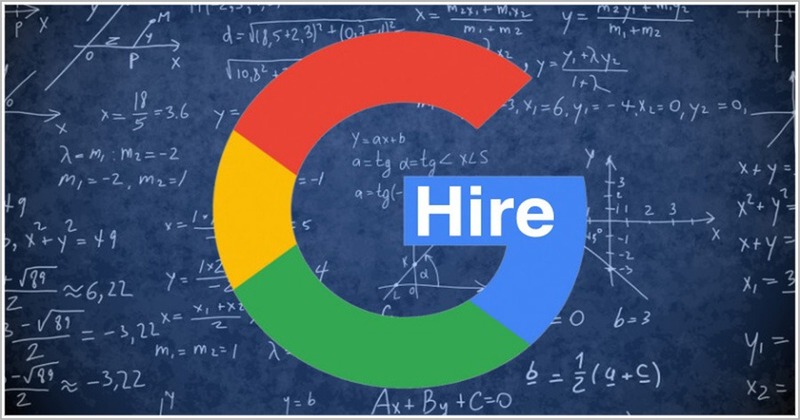 While not a great deal has been leaked out about the potential of Google Hire just yet, we do know that the platform acts heavily as an application tracking system. It allows recruiters to post listings, and accept, track, or manage applications. Presumably, as its major competitors currently are LinkedIn, Indeed, and Greenhouse, we can expect to see other feature sets similar to them in which a user can support their own resume and applications for advertising to potential employers as well. Being in the early stages of development, yet progressing quickly, Google Hire is only open to a select few companies right now, though it has generated some very positive feedback. Currently, only Poynt, SingleHop, DramaFever, Medisas, and CoreOS have access to the platform, as well as postings from Google themselves, with more being brought into the fold periodically as the platform expands and develops. While Google has yet to announce formally the platform, or its invite-only beta, we imagine we will be hearing a great deal more in the coming months. With the website already live and actively being used, it shows a good amount of promise for the progress already made so far. With the business of recruiting being so lucrative, especially for small businesses whom are often more strict in vetting their employees, we think that Google Hire will end up being one of the best services out there, and that's not just because of the Google tag on it! 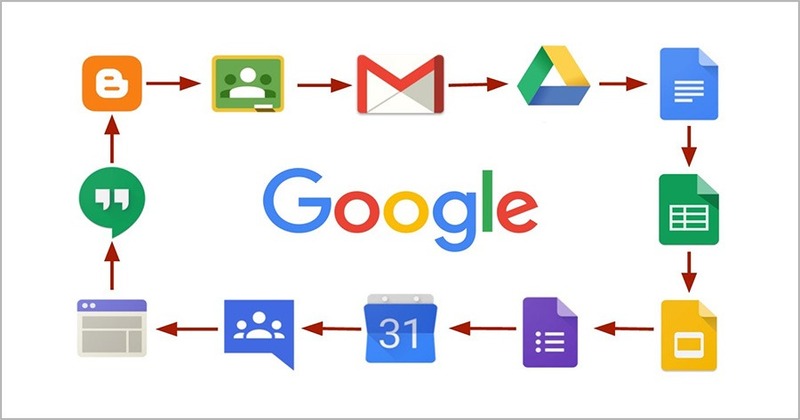 Around last fall, Google decided to revamp and rebrand their old Google Apps For Work suite into something more simple and streamlined. In steps "G Suite". Promising upgraded apps, new updates to the functionality, and an excellent support to your business daily tasks, G Suite is really setting the bar high. Welcome back to #TechTuesday, where we're going to give you a few things you need to know about this new model. One of the major improvements that G Suite was planned around was how to make the average user's every day tasks just a bit easier. What was their solution? Robots. But not really robots. Artificial intelligence is close though! The integration of AI into the G Suite apps means that you can spend less time dealing with the software, and more time with your actual work. They've found some clever ways of implementation too. For example, the storage suite now takes cues based on your work habits, and the time allocated to your files, such as meetings, emails, and other activity. It then offers the files it thinks you might want immediately, rather than having to always sit there sifting through. In addition, the calendar has a fantastic addition of multi user scheduling tools. Meetings, presentations, and outings have never been easier than with G Suite's AI, which will sort through multiple users' schedules to find a common opening. There are also integrations for presentation software that will suggest layouts based on content. It helps take a lot of the stressful details out of the picture so that you can focus on the parts that matter most. While these are just a few examples, the AI is designed to minimize frustration and maximize your outputs in many more ways. We live in the digital age, where staying connected has become a critical part of running a business. From community outreach, community management, online reviews, web presence, search engine optimization, and even just to the free advertising that comes with it, social media has become an integral part of business. Google, as one of the major supports of social media, recognizes this aspect and has integrated it with their new G Suite products. Tying into websites such as WordPress, Google+, Facebook, and Youtube, as well as a variety of other popular platforms, it allows you to pull everything together, and keep your company's progress and presence where it needs to be: on the web. This kind of setup will prove invaluable to the marketing managers and community leaders. In addition to integrations, G Suite now boasts improved security. You're on the web, and of course that means having to be safe. Most users of G-Mail will recognize the two step authentication process that was introduced years ago for their email accounts already. A couple extra minutes with the use of a code to login, but peace of mind knowing that you're the only one accessing your webmail. Google has taken this a step further, offering the option of configuring security keys, actual physical key-like dongles that plug into the computer and use either Bluetooth or NFC to verify a user's identity. A one time setup is all it takes, and then you're good to go from there! The best part is that its consistent over multiple devices, and can be time saving if you have to hop between workstations often. Shane Skwarek is the Owner and Chief Technologist of S-FX.com Small Business Solutions. 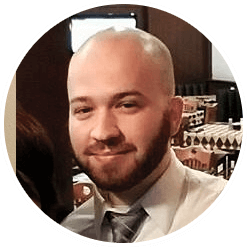 An avid technology buff, Shane has over a decade of professional experience working with web programming languages and database management. Prior to launching S-FX.com, Shane served as the Director of Technology for the Market Technicians Association in New York City. In this role, Shane was responsible for developing web-based educational tools and re-engineering office processes through the design of custom applications. Shane graduated from Monmouth University with a Bachelors Degree in Computer Science and a Minor Concentration in Business Administration. 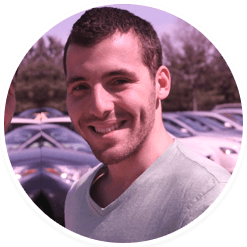 Nick Saliya is an experienced Web Developer with a demonstrated history of working in the information technology and services industry. 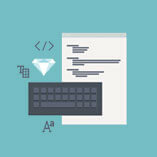 He is skilled in PSD to WordPress, Search Engine Optimization (SEO), User Experience, PHP, and C++. 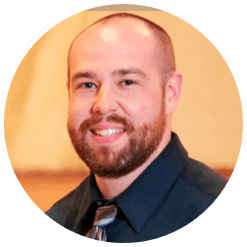 Nick is a strong consulting professional with a Master of Business Administration (MBA) focused in E-Commerce from Eastern Michigan University. 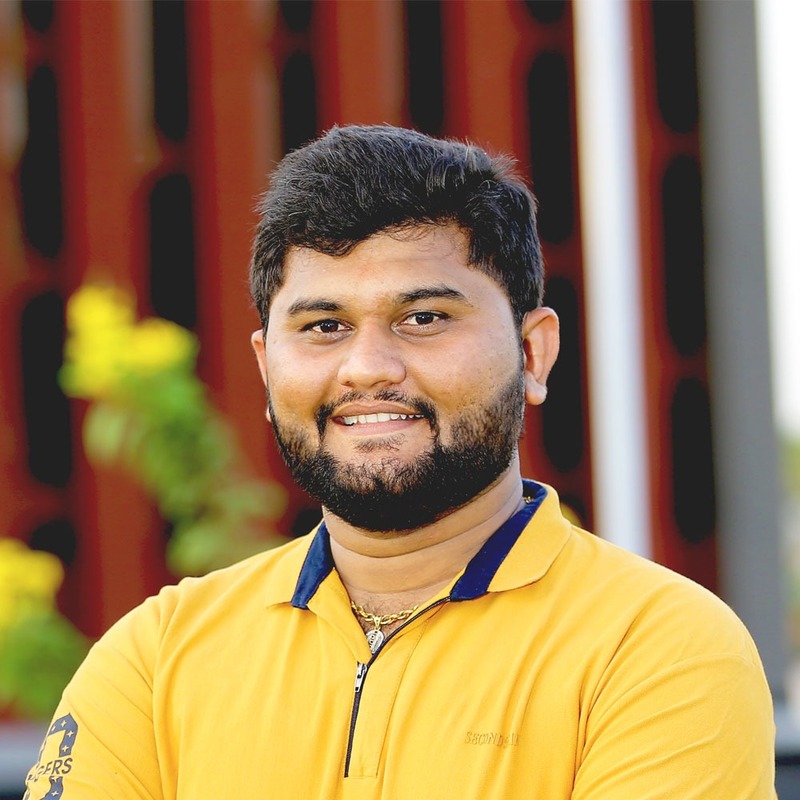 Rahul Dungarani is a senior web developer and an expert Wordpess coder, who currently serves as the General Manager for our Surat, India based partner office, Volcone Web Solutions. 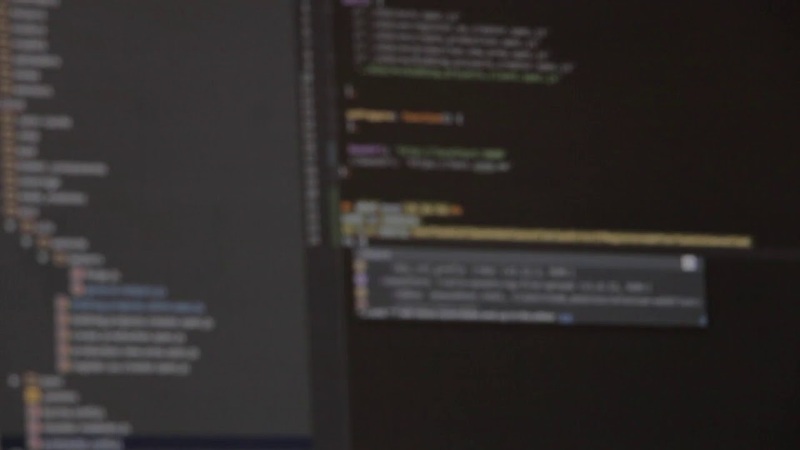 In this role, he oversees the day-to-day for a team of nearly twenty developers! 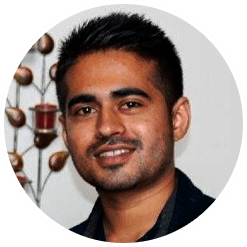 Rahul has a passion for working with new technologies and resolving complex technological problems. He holds a Masters Degree in Computer Science, with concentrations in Database Management and Object Oriented Programming (OOP). Dan Sorkin is a specialist in generating new leads and customers for small businesses across a variety of businesses. He focuses on setting up automated systems that have a large enough ROI to allow his clients to achieve stable and consistently growing revenue. Dan has over 5 years of experience in the field of sales and marketing. He takes a personal stake with each of his clients and works with them in-depth to find ways to leverage their assets and uncover hidden growth opportunities. 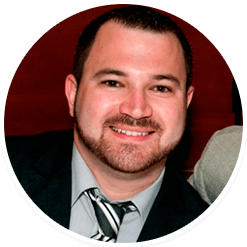 Dan is a graduate of Rutgers University and works with clients across the United States. Brandon Anthony has nearly a decade of experience in retail management, accumulating skills in inventory control, marketing, community outreach and customer service. Brandon takes a genuine interest in each client he works with, sharing in the enthusiasm that small business owners have for their own projects. His affinity for interacting with other people allows him to build and foster long-lasting relationships. Brandon has a Bachelors of Arts from Rowan University in Health Exercise Science with a specialization in Health Promotion and Fitness Management.